There are only 45 left, and the government claims captivity can save them. The last wild red wolves are about to be rounded up by the federal government and put in zoos to breed, the U.S. Fish & Wildlife Service (FWS) announced this week. After three decades, the federal agency is stopping its Red Wolf Recovery Program, which sought to save red wolves in North Carolina. The red wolf once lived in states across the South from Texas to Florida, and as far north as Pennsylvania, but because of hunting and habitat loss, the wolf was nearly extinct by the 1970s. The now-halted recovery program began in 1980. It seemed successful when it brought the population up to about 150 wild red wolves in 2012, after breeding and releasing red wolves into Alligator River National Wildlife Refuge in North Carolina in 1987. But hunting and habitat loss have once again decimated the wild population. When coyotes - who have evolved to take advantage of the impacts of human beings on the environment - invaded the red wolf recovery area, the red wolf's comeback became even more complicated. "Coyote hunters have shot red wolves in a tragic case of mistaken identity," according to Defenders of Wildlife. "The agency [FWS] sharply increased its removal of red wolves from the wild by landowner request, and in 2015 allowed a landowner to kill a mother wolf believed to be nursing." "[W]e said plainly that we made some mistakes in the management of the experimental population," Cindy Dohner, Southeast regional director for the FWS, said at a press conference on Monday. But the plan to round up the last of the wild red wolves and put them in captive breeding programs in zoos across the country - apparently without plans for eventually releasing them - is being called by some "a dangerous precedent" and a "devastating blow to the world's most endangered wolf." According to Jamie Rappaport Clark, president of Defenders of Wildlife: "Never before has the U.S. Fish and Wildlife Service so directly turned its back on an endangered species recovery effort. The agency is essentially giving up on the red wolves in the wild today, with vague promises of reintroduction efforts elsewhere, sometime in the future." Rather than reducing the area where the wolves can roam and rounding the wolves up, some conservationists want the FWS to recommit to releasing the world's most endangered wolf into the wild, while reinstating coyote management in the recovery area and establishing new places in the wild forests of the Southeast where the red wolves can live. "The [FWS]'s proposals, which significantly modify the size, scope and management of the current red wolf recovery program, set a dangerous precedent," Maggie Howell, executive director of the Wolf Conservation Center, said. "By succumbing to political pressure, the [FWS] is allowing a state to dictate endangered species policy instead of adhering to proven scientific principles and practices." But biological diversity is important for the remaining wolves, and breeding programs in zoos could help keep the bred wolves healthy, some experts say. "We need to get beyond the mistakes and choices of the past and commit to working together," Dohner said. 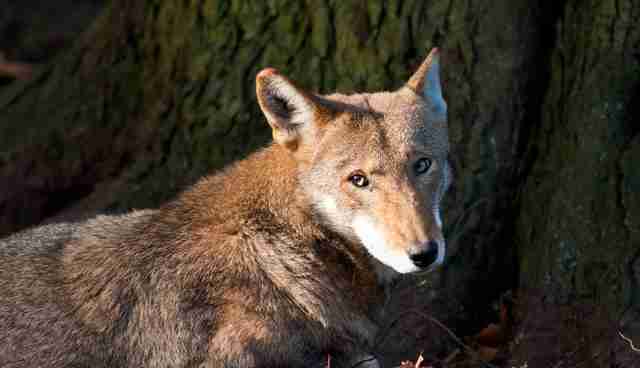 To help red wolves, you can send a letter to the government about your concern. You can also donate to Defenders of Wildlife and the Wolf Conservation Center.